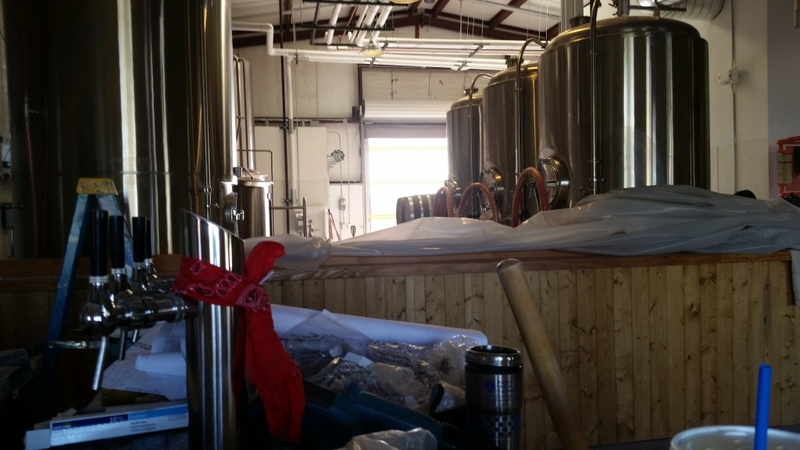 Those Rototap faucets in the foreground should go under the bar sometime today – eight of ’em. 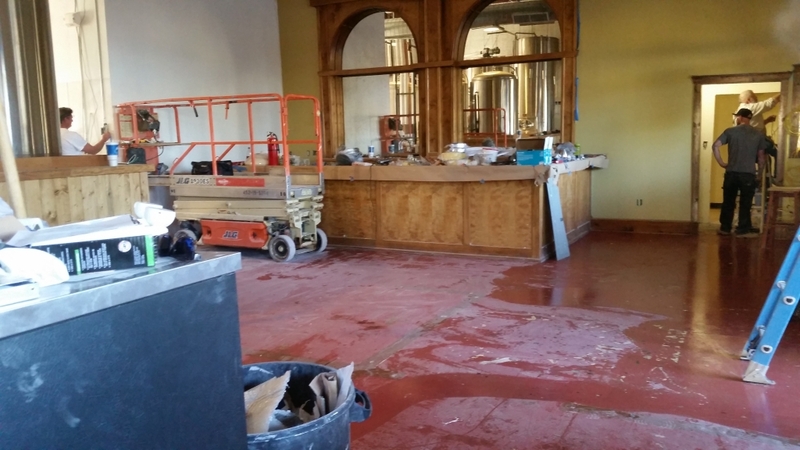 The floor is already painted, and plumbing and electrical are all done back there. The final touches to the pony wall should happen today too. County health wasn’t fond of the idea of having the back door open with patrons in the front. We couldn’t deny anyone that view, though. 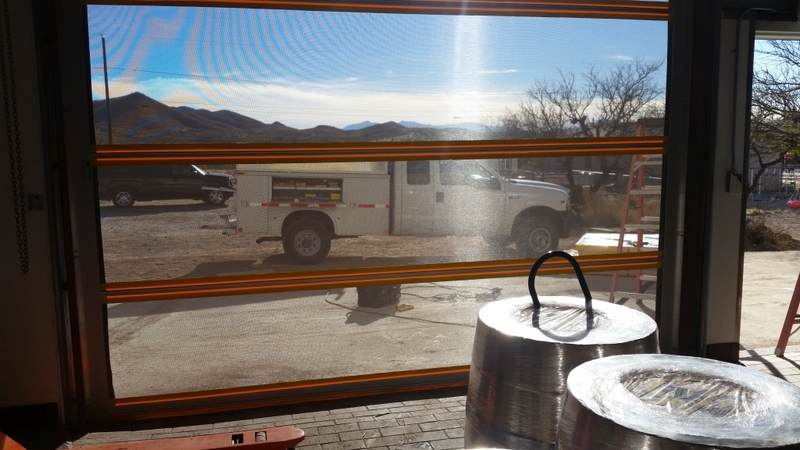 You’ll soon be able to sit in the comfort of our tap room and gaze past the shiny stainless toward the hills outside of town and the amazing Huachuca mountains in the far distance. They were snowy at the time of this picture, which doesn’t even begin to do them justice. 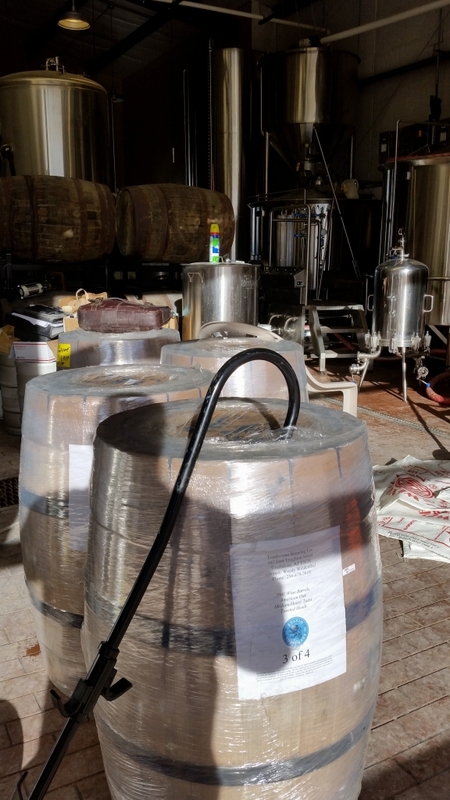 Our collection is growing – these guys are fresh oak soon to contain a sour wheat ale, each with a different type of fruit. The floor was being cleaned for treatment. It’ll be a similar color in the end too, though; something close to the quarry tile we have in the back. The turquoise (or baby blue, or seafood, or “mother-in-law’s kitchen,” as our general contractor calls it) from when we bought the place was polarizing. The space feels much bigger this color. And one knowledgeable local told us it’s a color they would’ve historically used back in Tombstone’s heyday. Total accident, of course. In one day, everything will be ready for our final inspection prior to opening except for one little exterior door. By the end of the day on Friday, we’ll hopefully be able to open our tap room doors to the public for the very first time. 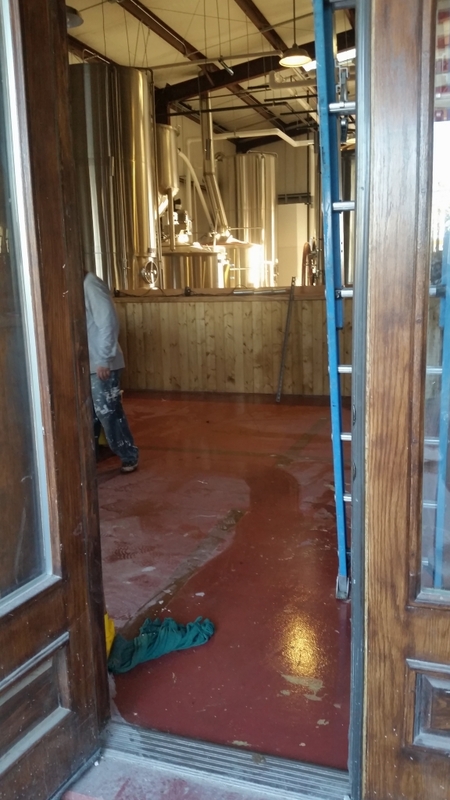 I doubt anything will ever taste better than the first pint I pour from behind the bar while looking out over a completed tap room and brewery.